Martorell, 12/04/2016. - The SEAT Apprentice School has opened the pre-registration period for its 2016-2017 academic year. All young hopefuls who are keen to be part of the school can submit their application for one of the 60 openings on offer via the website http://seatjobs.seat.es/escuela-de-aprendices-de-seat/ until the 27 May deadline. After a selection process that includes psychometric testing, a personal interview and an academic record assessment, in September the 60 candidates will begin the first course of the two middle grade training cycles with 30 students registered in the machining module and the other 30 in the Electromechanical Maintenance of Installations module. The eligibility prerequisites include being born between 1996 and 2000 and completing Compulsory Secondary School education or having an equivalent qualification when formalising their enrolment. All those interested in more information can visit the facilities and learn about the Vocational Training programme offered by SEAT at the Open Doors event on-site scheduled for this Saturday, 16 April from 9 am to 1 pm (the School's address is Paseo de la Zona Franca, 53-55, Barcelona). 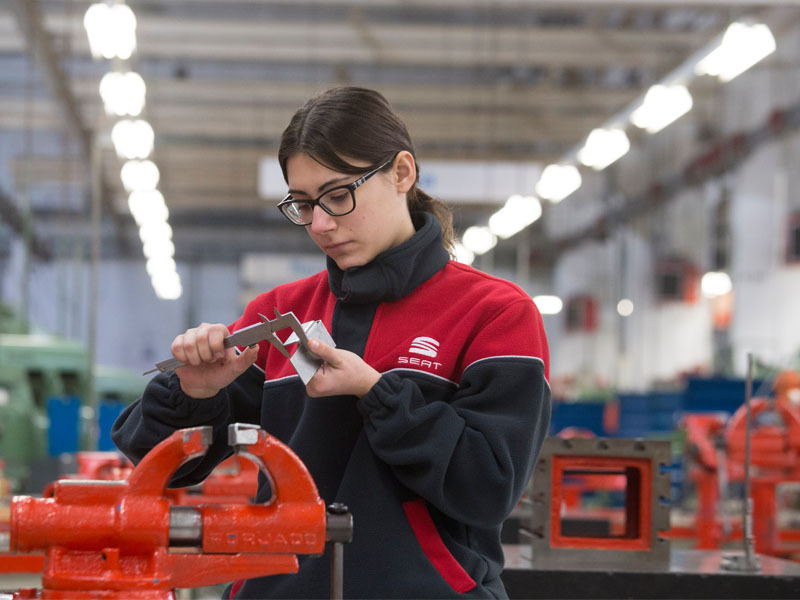 "The dual Vocational Training offered by the SEAT Apprentice School gives young people a triple opportunity – they learn a trade, they develop it in a real-world work environment and can join the workforce with an open-ended contract when they finish their training programme", points out Laura Carnicero, SEAT's new training administrator.